From Friday the 27th of February to Sunday the 1st of March 2015, Issey Miyake will create an exciting consumer experience, to Set out for the very ends of the earth, to discover oneself… An inner journey, Issey Miyake Expeditions. An opportunity to experience the uniqueness of each scent as you take the chance to win a thrilling experience with Issey Miyake. Visit the Issey Miyake podium at The Palms Lekki & Ikeja City Mall and win an afternoon of jet skiing coupled with lunch for two, at the Lekki Leisure Lake. The Jet Ski rides offer the most exhilarating personal watercraft experience, like our fragrances it sets you on a journey of self-discovery, freedom and adventure. 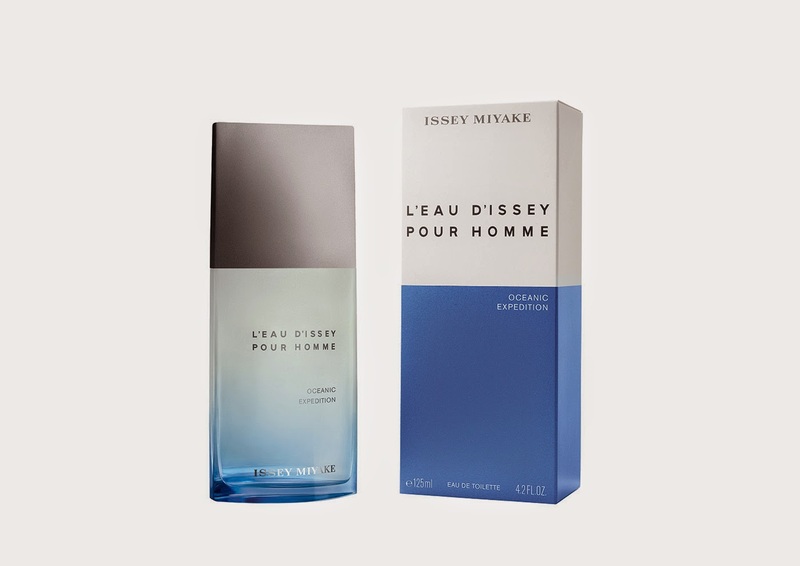 Validate your participation with any purchase of a large size masculine product Issey Miyake (Nuit d’Issey, l’Eau d’Issey Pour Homme, Expeditions) during the Podium Exhibition. Just like his fashion, his fragrance creations are universal, in harmony with life, accessible to all. Issey Miyake has always created fragrances for oneself: timeless, unique fragrances, which express emotion. Each fragrance has a simple, rigorous formula; it is clear, structured, giving free rein to pure emotion. The essential is the ultimate luxury, excellence revealed in the nothing. His fragrances lack arrogance and have a poetic modernity that captures the spirit of the quest and exploration. An exploration of oneself, firstly: one’s emotions, feelings. The experience of oneself through fragrance. 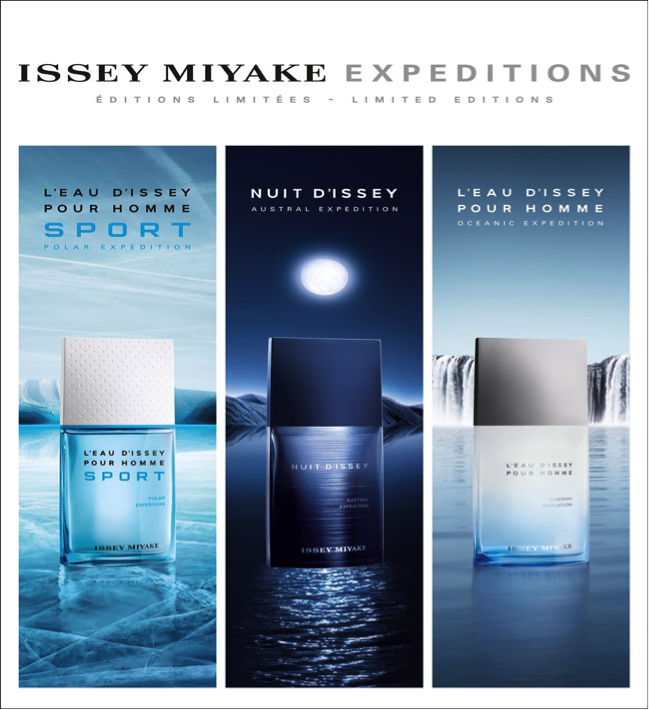 Globally, ISSEY MIYAKE has launched EXPEDITIONS, a new trio of limited edition flankers for men. Three men’s fragrances, three scents that became classics almost as soon as they were launched. L’Eau d’Issey Pour Homme. The nose Jacques Cavallier set his dreams afloat when he created this woody aquatic scent as a fragrance to breathe in. This fragrance, which has become a natural classic, introduced a new pulsating aquatic freshness capable of quenching one's thirst for authenticity. L’Eau d’Issey Pour Homme Sport. The initial structure of L’Eau d’Issey Pour Homme is complemented by a vibrant burst of grapefruit and mint (also created by perfumer Jacques Cavallier). In an appealing reference to high-tech sport, the smoked glass of the bottle recalls sunglasses, while the stopper looks like a non-slip grip. A great olfactory – and poetic – frisson. Nuit d’Issey. This charismatic composition, created by the duo of noses Dominique Ropion and Loc Dong (IFF), succeeds in slipping a ray of light into the night by combining bergamot with grapefruit, which offers its own interpretation of the moon’s radiance. The mystery comes from a leathery accord enlivened with spices, and grounded by textured base notes (“black” woods, patchouli, incense). The bottle retains its shape and acquires a deep black colour in which is reflected a halo of moonlight. A flanker to 2012's L’Eau d’Issey Pour Homme Sport, inspired by a journey to the arctic circle. From Friday the 27th of February to Sunday the 1st of March, 2015, ISSEY MIYAKE will create the consumer experience, an experience to Set out for the very ends of the earth, to discover oneself… An inner journey, ISSEY MIYAKE EXPEDITIONS. An opportunity to experience the uniqueness of each scent as you take the chance to win a thrilling experience with ISSEY MIYAKE. Visit the ISSEY MIYAKE podium at The Palms Lekki & Ikeja City Mall and win an afternoon of jet skiing. The Jet Ski rides offer the most exhilarating personal watercraft experience on the lake. Going on a Jet Ski makes you feel free, adventurous and ultimately refreshed as you catch a view of the Atlantic. They always have strong nice scents.